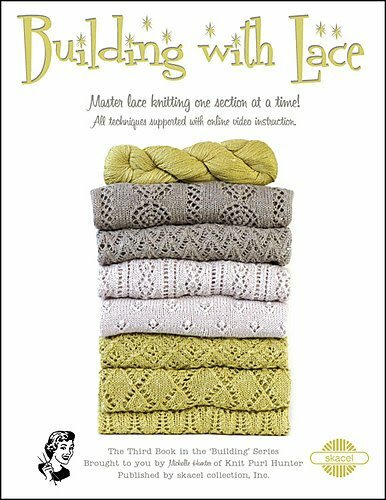 We will knit the Building with Lace from renowned knitter and teacher, Michelle Hunter. 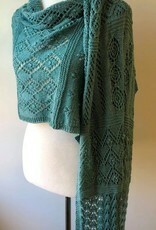 for this Knit-Along style class. 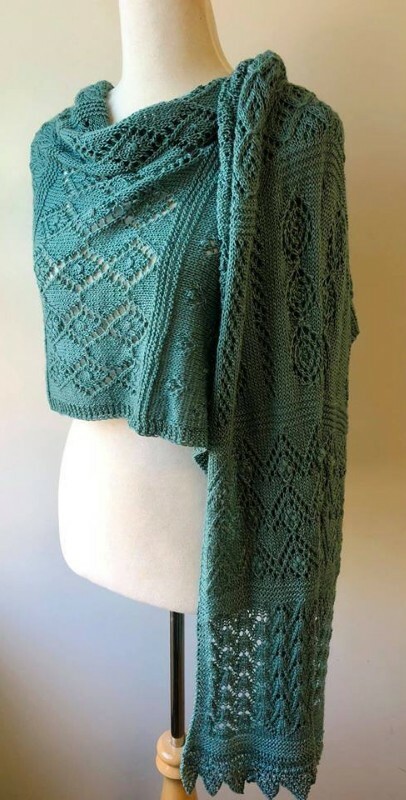 It is a carefully designed sequence of stitch patterns that introduce knitters to lace work starting with the basics and working towards more difficult stitch patterns to make one elegant shawl. Knit one section every 2 weeks. HiKoo® Rylie. Each hank is 274 yards / 100g, 50% baby alpaca, 25% mulberry silk, 25% linen. 5 hanks are needed. 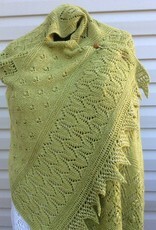 (See Gauge) The close up photos of each section were knit using Color #092. 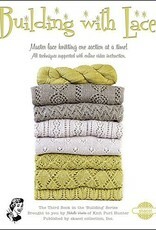 The pattern was designed using this yarn and if you want to use it, you will need to pre-order it. US #6 / 4.0 mm (or as required to meet gauge) 24” circular needles, or size needed to achieve stated gauge. Beads are added in Section #5 and in the borders. 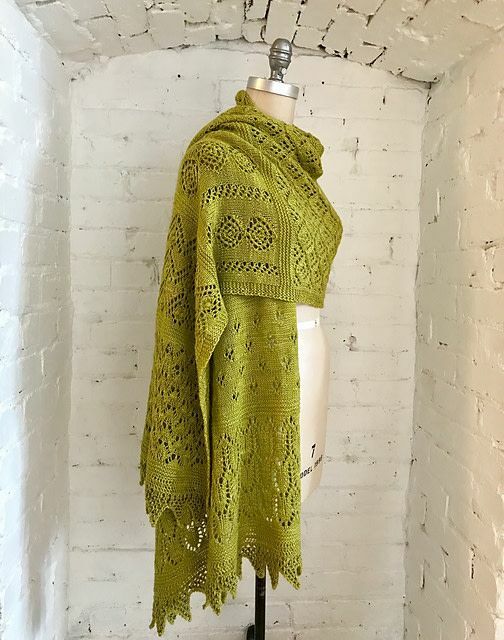 The finished shawl measures approximately 22” wide and 72” long. The recommended gauge is 22 stitches and 29 rows = 4” x 4” in stockinette stitch. Gauge is extremely crucial in this project from a yardage standpoint. 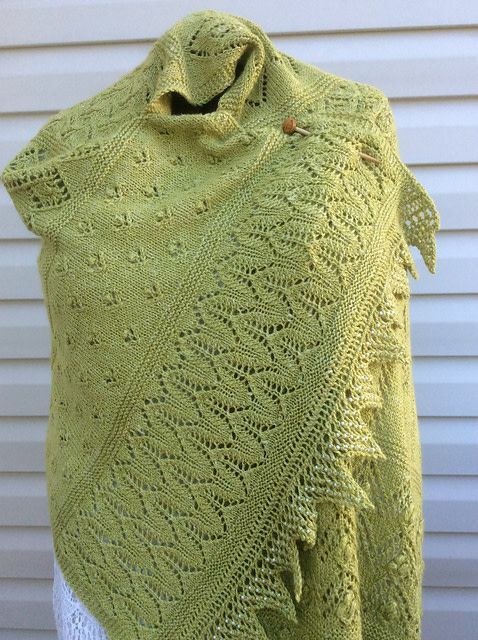 Knit to the recommended gauge, the shawl uses five skeins with approximately 110 yards / 40g remaining. 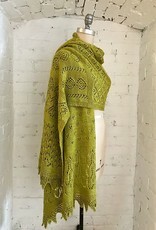 While the shawl doesn’t actually have to “fit”, proper sized stitches will use the recommended amount of yarn. Larger stitches use more yarn, potentially causing a shortage. Take the time to knit a swatch to assess the stitches, and change needle sizes if necessary.